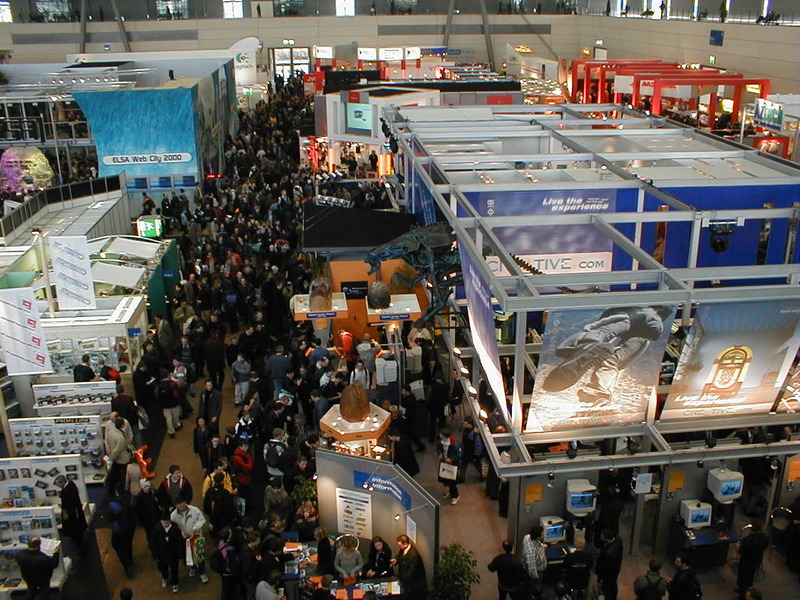 Attending trade shows and exhibitions means that you're vying for attention, along with a lot of other brands. Getting noticed takes a lot of work, and you need to make an effort to do something different if you want to stand out. Whether you're planning to attend your first event or you want to up your game for the next ones that you attend, there are lots of things that you can do to make more of an impact. Instead of sticking to the same boring trade show tricks, here's how you can leave a good impression on attendees and other exhibitors. or listen to you talk about your brand. However, if you can get them engaged in another way, it could leave much more of a lasting impression. Think of an interactive activity to get people more involved in your booth. Maybe you could set up a game for people to play and even turn it into a competition. You could have a "have a go" station, where attendees can try out your products. Or perhaps you can have an interactive wall (digital, blackboard/whiteboard or paper) where people can write their thoughts about one thing or another. You could have a display that you stand behind and use to talk to people. However, if you want to be more engaging, why not give people somewhere to sit down? If you find a service for bespoke exhibition stand design, you can have seating and perhaps some tables or a bar. This allows you to engage in anyone who comes to visit your booth. You can have more of an in-depth conversation, perhaps even serve some food and drink, and possibly get the ball rolling on some business. Trade show attendees will likely go home with similar things from different booths. They'll have some bags, some pens, perhaps some USB memory sticks, and lots of flyers and stickers. Maybe there'll be some keyrings or even some T-shirts. These are all common, safe and inexpensive promotional items. While anything is better than nothing, a unique promotional item is even better. Think outside of the box and give items that no one else is likely to give. Invest a bit more money into something memorable instead of sticking with the boring options. It's important to remember that going to a trade show isn't just about the day of the event itself. You should also think about how to engage people before you go and after the event is over too. Before the trade show starts, make sure that you let people know that you're going to be there. Use social media, your mailing list, and other methods to get the message out. You can stay engaged on social media during the show too, as well as documenting it using video and photos. After the event, you can post more video and photos, as well as ask for feedback from attendees. Don't do the same old boring thing at your next trade show. Make an impact by doing something different.